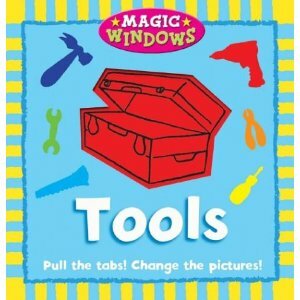 Tools by Holly Mann is shaped and styled like a book, but contains tabs you can pull that change the colors of the images in the book. This book is not limited to woodworking tools, but has a little bit of everything in it. Only 8 pages, but the activity can keep kids going back to it to play.